We’ve known for a while that PS4 owners will get 30-day exclusive access to some Red Dead Redemption 2 content, but Rockstar Games has held back on the specifics. Just how jealous should Xbox One owners be? Are PS4 players getting, say, story content or missions early? Or are the exclusives just minor cosmetic things? Turns out it’s mostly the latter. 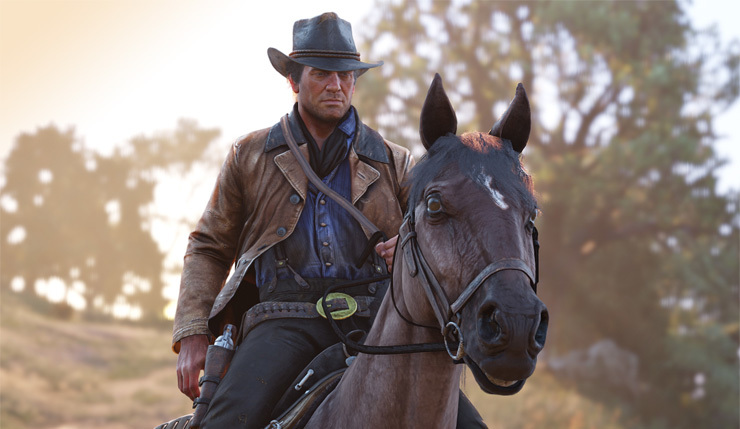 Rockstar and Sony have finally revealed the stuff PS4 owners can expect at the launch of RDR2, and while most of the items are cool-looking and provide some minor gameplay advantages, none of it is essential. 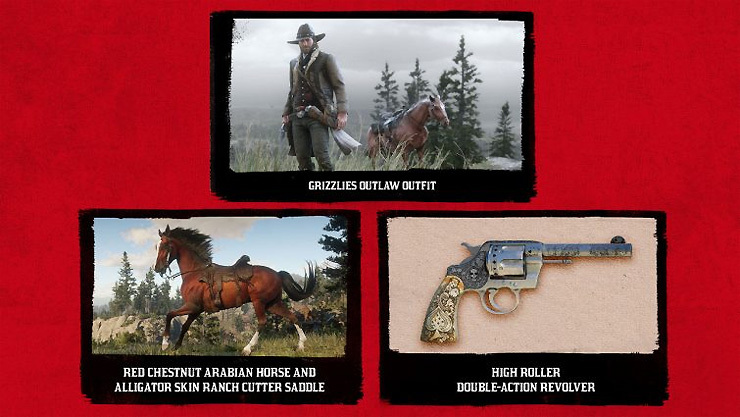 PS4 owners will get first crack at the Red Chestnut Arabian horse, High-Roller Double-Action Revolver, Grizzlies Outlaw outfit, and more. Get a full rundown of all the goodies, below. A slick but rugged look, the Grizzlies Outlaw Outfit is perfect for exploring the forests of Ambarino. Featuring a wool-lined, long coat with custom, hand-tooled leather accents, vest with ornate pattern details, stand wing-tip collar with black neckerchief, and custom ornate buckle with matching boot tips, the Grizzlies Outlaw Outfit pays homage to the “boss” of the Northern States, its real-world inspiration. In addition to its stylish look, the Alligator Skin Ranch Cutter Saddle provides a number of benefits when equipped including core Health and Stamina boosts, which increase speed and acceleration for the horse. This saddle is an enhanced version of the basic saddle players get when starting Red Dead Online. What do you think? See anything that would convince you to buy the PS4 version of RDR2 over the Xbox One version? That Red Chestnut Arabian is pretty nice!